News continues to trickle regarding the progress of Pope John Paul II's road to sainthood. Here's a brief look at the process which was modified by JPII himself in 1983. Servant of God. 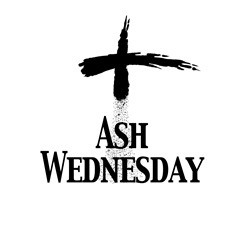 The process begins when a group of faithful or agent, usually sponsored by the bishop of the potential saint's diocese in which he died, petitions the Congregation for the Causes of Saints. A five year waiting period after the person's death is customary, though the pope can waive this requirement, as was the case with Mother Theresa of Calcutta and Pope John Paul II. An investigation commences for the purpose of gathering any and all information about the 'potential saint', including any writings, homilies, speeches, testimonies, eye witnesses, etc. A Postulator is assigned who acts as the 'lead investigator'. As an interesting aside, the term "Devil's Advocate", or one who takes the opposing side for argument's sake, has its origin in the canonization process as one who would argue against the cause of the potential saint. During this stage, the potential saint has the title of "Servant of God". 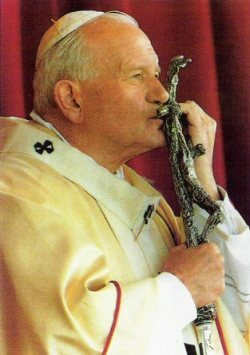 Pope John Paul II was declared a Servant of God on June 28, 2005, just five months after his death. Declaration Non Cultus. During the investigation, the body of the Servant of God is exhumed and examined in order to certify that no superstitious or heretical worship or improper cult has grown up around the servant or his or her tomb. Relics are taken at this time. Venerable. At the completion of the investigation when due diligence has been exhausted and sufficient evidence has been gathered, the "case" is presented to the pope for his stamp of approval. The desired outcome is for the pope to make a formal declaration that the Servant of God has undeniably demonstrated a life of heroic virtue. The potential saint is called "Venerable" at this stage. Reportedly the Servant of God John Paul II is at this stage now and the completed positio (position paper) goes to the cardinals and bishops of the Congregation’s members, who before the end of the year will decide on the heroic virtues of John Paul. Then it will be up to Pope Benedict XVI to decide whether to promulgate a decree, declaring him Venerable. Blessed. Beatification is a statement by the church that it is "worthy of belief" that the person is in heaven, having come to salvation. This step depends on whether the Venerable is a martyr or a "confessor". For a martyr, the pope has only to make a declaration of martyrdom, a certification that the venerable gave his life voluntarily as a witness for the faith and/or in an act of heroic charity for others. This allows beatification, giving the Venerable the new title "Blessed" A feast day will be designated, but its observance is normally restricted to the Blessed's home diocese. Parishes may not normally be named in honor of a Blessed. If the Venerable was not a martyr then he is classified as a "confessor", or one who bore witness to his faith by how he lived his life. Proof of a miracle is required. This has most commonly been a miraculous cure or healing of someone who had a devotion to the Venerable and prayed for his intercession. Such a miracle demonstrates that God has shown a sign that the person is enjoying the Beatific Vision in Heaven. With one miracle confirmed and the "Venerable" declaration coming shortly, odds are in favor of the Beatification of John Paul II occurring on the fifth anniversary of his death, April 8, 2010. Saint. To be canonized a saint, one further miracle is necessary. Canonization is a statement by the church that the person enjoys the Beatific Vision with certainty. The saint is assigned a feast day which may be celebrated anywhere within the Catholic Church, although it may or may not appear on the general calendar or local calendars as an obligatory feast, parish churches may be built in his or her honor, and the faithful may freely and without restriction celebrate and honor the saint.